Description Come see this 2016 GMC Canyon 2WD SLE. Its Automatic transmission and Gas I4 2.5L/150 engine will keep you going. 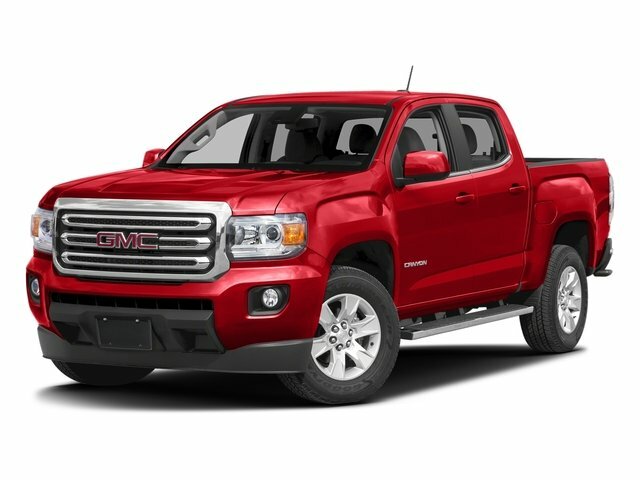 This GMC Canyon features the following options: ENGINE, 2.5L I4, DI, DOHC, VVT (200 hp [149.0 kW] @ 6300 rpm, 191 lb-ft of torque [259 N-m] @ 4400 rpm) (STD), Windows, power with driver Express-Up and Down, Wheels, 17" x 8" (43.2 cm x 20.3 cm) Blade Silver Metallic cast aluminum, Wheel, compact spare, 18" x 4.5" (45.7 cm x 11.4 cm) Black cast aluminum (Standard with (LCV) 2.5L I4 engine. Not included on Crew Cab Long Box models. ), Visors, driver and front passenger illuminated sliding vanity mirrors, Transmission, 6-speed automatic, Traction control, electronic, Tires, P255/65R17 all-season, blackwall, Tire, compact spare T175/80R18, blackwall (Requires (RTX) compact spare, 18" x 4.5" (45.7 cm x 11.4 cm) Black cast aluminum wheel. ), and Tire Pressure Monitor System.